Wrinkle and line treatment is growing increasingly popular worldwide, with many people seeking professional help to improve their appearance. Not only does wrinkle treatment rejuvenate your appearance but also gives many back the confidence they may have lost. 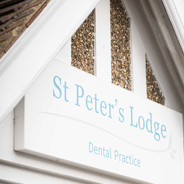 Our dentists at St Peter’s Lodge have extensive collective experience of performing this treatment. Wrinkle treatment is a non-invasive, long-term treatment consisting of series of small injections designed to smoothen frown lines occurring between the eyes, crows feet and wrinkles that appear on the face. 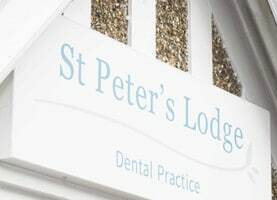 You can book a consultation with one of our highly-trained cosmetic dentists who will talk through this treatment with you and answer any questions you may have. Following this, you can book your treatment session. The treatment is long-term though not permanent. 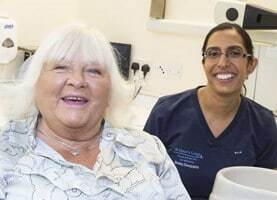 Our dentists will happily advise you on when to book our next wrinkle treatment so you can keep A huge advantage of this treatment is that there is practically no recovery period. You’ll be able to see the full effects of the treatment within 7-14 days. Static wrinkles occur as a result of your skin moving and folding on a daily basis, producing a line or crease as the tissue in your skin becomes lost. The treatment for dynamic wrinkles is a blocking agent called Botulinum Toxin that works by preventing the signal running from the nerve to the muscle and in turn, stopping the muscle from contracting. The treatment stops the appearance of wrinkles on your forehead as well as your frown lines, that appear between your eyebrows. Wrinkle treatment has a high level of success worldwide. Botulinum Toxin is a safe and high quality injective product that has been used worldwide for this procedure over the past 25 years. This is our choice of product for wrinkle treatment at St Peter’s Lodge. It is strongly ill-advised to use home DIY kits to carry out this treatment as the substances can be of poor quality and potentially very harmful. 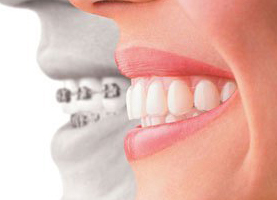 One treatment session lasts around 5-6 months before you’ll need to visit us again for a repeat treatment. Your dentist will be happy to discuss your next appointment with you.